Can America come to terms with the post-911 reality it created? Emotions have run high since United States president Barack Obama announced the death of Osama bin Laden. “The head of the snake is gone,” said Rudi Dekkers, the owner of the flight school that trained the two terrorist pilots responsible for killing thousands in the World Trade Center towers. Bin Laden’s death marks a turning point of nearly a decade of grief, anger, and insecurity for all effected by the tragedies of 9-11. The tragic events of that day will forever be present as a reminder and a threat of the destructive capacities of terrorism. But always remembering must not mean we stay locked in the past: Amidst great pain and fear, issues of remorse, forgiveness, and rehumanization are beginning to surface in light of the gross human rights violations that followed September 11, 2001. In the Journal of Humanistic Psychology, author Pumla Gobodo-Madikizela draws on experiences from the South African apartheid to remind us what remorse, forgiveness and rehumanization look like in the aftermath of gross human rights violations. Entitled, Remorse, Forgiveness, and Rehumanization: Stories from South Africa, Gobodo-Madikizela explores the phenomenon of transformative forgiveness in the aftershock of horror. Gobodo-Madikizela words offer a timely and relevant breakdown of how forgiveness evolves—in the light of mass atrocities. An offering in place of revenge: when we give up revenge, forgiveness becomes an attainable goal. Mourning becomes a process of letting go while acknowledging the experience of negative emotions including rage, revenge and resentment. Through this lens, forgiveness is not just “letting go” nor is it forgetting, but instead involves a new way of thinking about the experience of the trauma and the emotional aftermath; giving the pain less power over the sufferer’s existence. Allow for humanization of the victim or sufferer: In the face of great atrocity, dehumanization often occurs in those left behind, adding invisible anguish to their lives. Emotional expression means plays an integral part in making that unseen pain visible. Through the use of narrative storytelling and other means, the sufferer is able to reunite with their felt sense of pain and reaffirming their humanity, their relationship with the outside world, and their own interconnectedness. 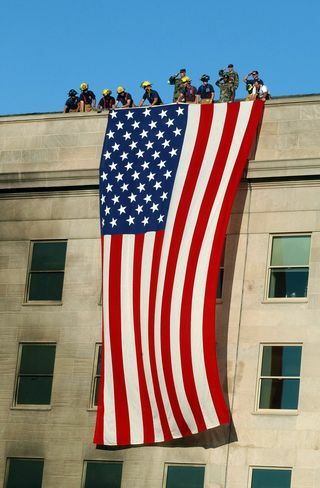 Given the atrocities of September 11 and the recent killing of Osama bin Laden, a new window of opportunity has opened to acknowledge what we’ve been through, and what we’ve done, and gradually become the country we want to be. We must never forget – but do we want to be in a state of shock forever? Our national soul is at stake.